One of Australia’s favourite traditions is jumping into your backyard pool to cool off on a hot day. However, there can be perils in the pool water. While you think you may have a safe pool because of the mandatory presence of pool fences and signs, there is a type of pool safety that is often overlooked as it’s not a visible hazard – Electricity. To lessen the risk of electricity in pools, there are unseen safety features built into the construction of every pool called bonding and earthing. Electrical bonding and earthing are put in place before your pool is poured and helps keep you and your family safe from stray electrical currents from the pool water to prevent electrocution or drowning. In Australia, we operate what is called a MEN (Multiple Earth Neutral) system of protection and distribution. Without getting too bogged down in techie/tradie speak, the “Active” voltage is always looking for the easiest path home. Electricity is basically just lazy, and this is generally the “Neutral”, the return path if you will. Your home is only supplied with an Active and a Neutral cable coming into the switchboard from the street; the earth connection needs to be made onsite. In Australia for a variety of long drawn out techo and historical reasons, we have the Neutral and the Earth/Ground at the same potential, and at every switchboard in every home and business, we have a “link” in the switchboard between the incoming Neutral from the network and the local Earth. This local earth is created at each switchboard by use of an earth stake which is driven into the ground. This is normally near the switchboard and connected via an “earth” wire (the green and yellow one) to the common Neutral connection bar where all the neutral cables (generally black) from the circuits inside your home are connected in the switchboard. In the switchboard there is also a common earth connection bar where all the earth cables from the circuits inside your home are connected. The MEN link is a physical cable connection between the Neutral bar and the Earth Bar. Still following me? Active and Neutral into the home, earth created onsite, common neutral bar, common earth bar, the link between Neutral and Earth to make them the same potential. “What about the Active?”, I hear you ask. Read on. The Active (usually Red) comes into the main switch, which cuts all the power in the home, and goes out to feed each of the individual circuits in your house (power points, lights, stove, air con, hot water etc., etc.) These are protected by individual circuit breakers or fuses. In simple terms, the power comes in through the active and through the circuit breaker out to the load (power point, fridge, pump, light) and back through the neutral to complete the circuit. If there is a fault and the active strays to earth (e.g. through a cut in an extension lead or damaged appliance), the circuit protection operates and shuts off the electricity. 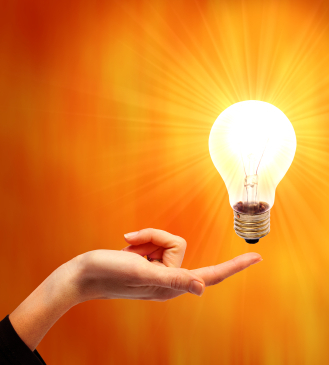 Stray electrical currents occurring in your own or nearby installations are the most common cause of problems. For example you or the next door neighbour might have a good earth stake but a dodgy neutral. In this scenario the lazy electricity looking for an easy ride back to the grid doesn’t use the neutral in the switchboard, it travels down the earth stake and goes looking for a good neutral to be able to get back to the grid. If your pool is between the dodgy neutral and the good neutral it can look very inviting to a homesick electrical current. If your pool isn’t bonded so that the current hits the reinforcing and goes into the bonding earth and back to the switchboard, you could cop it. While 30mA of current will kill you (for comparison, that’s 0.03 of an Amp while a toaster is 8 Amps), it only takes about 5mA to paralyse you. Not a good combination if you are in the water and sink to the bottom. You don’t electrocute; you drown, and so does anyone else who goes in to pull you out. It’s silent too. It’s not like the movies with smoke and frizzy hair, electrocution is quick and silent. By ensuring that your house is electrically safe and encouraging your neighbours to get their switchboards checked it reduces the risks of electrical shock in the pool. Pools and pool fencing are one risk area, poor earthing and bonding generally in the home are also potentially deadly as the tragic injury of a little girl in WA in February of 2018 from a MEN fault demonstrated. Have a switchboard and wiring inspection for peace of mind. Bonding and earthing are two separate processes that work together to keep electricity out of your water. Bonding is a process that links together all the physical metallic items in or around your pool, such as the metal supports of the pool frame, the ladder, pool fence etc. Bonding these items together creates an equal voltage potential (equipotential), or low-resistive network path across all conductive parts of the pool. In the event of a stray current travelling through the ground it will go to the earth stake on your house and not through you or through the pool water that you or your family are in. By doing this, it means that if a person in the pool touches one of these bonded points you are not a more attractive path to earth and the chance of shock is reduced. Without bonding, there is a risk that stray currents will remain in the one conductive elements making it live with electricity. Alternatively, the current will be conducted by the water in your pool, which electrifies your whole pool and by default you! In a nutshell, we bond non-electrical conductive “things” (water pipes, pool fences, pool shells, switchboard enclosures, etc.) that have the potential to become live and come in contact with people. Earthing goes hand in hand with bonding. While bonding links all the items together to divert any current in the ground away from the pool water, earthing of appliances with conductive surfaces (fridges, toasters, pumps, washing machines, dishwashers etc) means that if there is a fault on those appliances the circuit protection in the switchboard will operate to prevent shock to you, fire, or damage to other property. Just like the grounding of your house, grounding on your pool is important to protect from accidental electrical currents and other shock risks. Put simply we earth electrical appliances, and we bond “things”. Due to recent QLD legislative changes, items that are metallic or conductive and are located within 1200mm of the edge of the pool must be bonded and earthed to ensure safety. This legislation ensures that items like pumps and even the pool fence itself are safe to touch after getting out of your pool. How Can I Tell If My Pool Is Earthed Correctly? Most electricians will tell you that the earthing and bonding process in pools is almost never 100% foolproof. There will always be slight variances in electrical conductivity due to the time the wiring is exposed to the elements before pouring. However, many pools have not been grounded at all, or have been grounded incorrectly, and this can be lethal as in the case of a Victorian Police Officer who was electrocuted in a Gold Coast pool in 2003. Testing the bonding of existing pools and spas can be a challenge if there isn’t an exposed earthing bar already in place. Without an earthing bar, the process requires the concrete covering the metal reinforcing to be chipped back until it, and the pool’s reinforcing, is exposed and then a test lead run back to the earth stake to ensure the earthing resistance is under 1 Ohm. This process is tricky to complete and is very costly. In new pools, the testing of your bonding must be carried out before the pool is poured. To ensure that the connections remain as consistent as possible, it is advisable that the pool is poured as soon as possible after the bonding/earthing testing is completed to limit problems from exposure to the elements. If it is found that your existing pool isn’t earthed correctly, it can become a costly venture to correct. It involves stripping the concrete of the pool back to expose the metal reinforcements in a section before correctly earthing the steel, and then repairing the concrete. If you can’t afford to rip up your pool and start again, the best way to help keep those who swim in your pool safer is to have regular electricity safety checks performed on your property, and safety switches installed on every circuit. It would also pay to have a friendly chat with your nearest neighbours and encourage them to have a safety inspection on their switchboard. At Tradesmen on Time, we have a strict process we follow when it comes to ensuring that new pools are earthed correctly. We start off by using a grinder to remove rust (if any) from a number of spots on your reinforcing in your pool shell. The pool builders should have used galvanised wire to tie the steel reinforcing of your pool together. We then attach it to a 6mm earthing cable with brass line clamps, and spray cold galvanising paint on the connection before wrapping the bond with tape. This earth tail is then run to a point near the pool equipment GPO’s where a 6mm earth cable has been run from the switchboard to ensure that the earthing continuity is low enough back to the switchboard and the trusty earth stake to ensure that any pesky stray electricity can flow freely into the earth stake and not through you. Upon completion, we test the earth continuity back to the switchboard to ensure everything is correctly grounded. By law, to be classed as grounded the wires need to have less than 1 Ohm of resistance when connected. During some pool builds, the construction team might try to avoid getting an electrician out before pouring the pool, instead choosing to wrap some earth cable around a section of the shell’s reinforcing and leave a tail hanging out so it can be bonded to the earthing later. Under the new legislation, this practice no longer meets the requirements for correct earthing and bonding as it does not give the electrician the ability to check that the pool shell is correctly bonded. 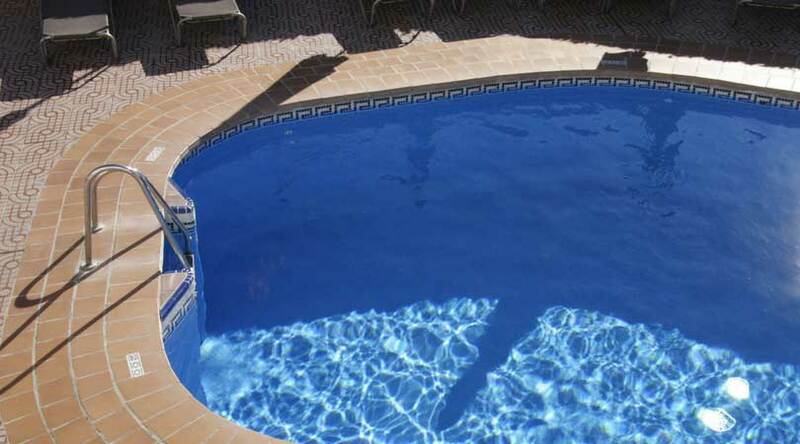 Also, an external test point must be available to ensure the bonding of the pool is still adequate. The bonding/earthing process needs to be completed before the concrete is poured to make sure it is safe. If you are looking at putting in a new pool or want to check if the bonding and earthing of your existing pool are correct, contact your local electrician. They will be able to conduct the bonding /earthing procedure on a new pool and provide advice on your current pools grounding, and if you need to chip back your pool’s concrete to test it. As stated before though, pools aren’t the only risk from poor bonding/earthing, your water pipes and metal appliances in your home can turn deadly from a MEN fault. Getting regular switchboard and electrical installation checks for your property could save the lives of you and your family. Need help earthing your inground pool?